Over the years that we had considered buying in Spain, seen various family members and friends make the move and watched the market change, we had learned a lot. It became obvious to us that we seemed to know more about how things work and more about thinking through and considering options than many of the self-appointed ‘professionals’. It also became glaringly apparent over time spent with agents and at shows that agents were only interested in selling you property on their books, not helping you in finding the right place for you; after all their client is the vendor, (not you, the buyer), and the only way they make money is by selling you one of their client’s properties. There were some large company’s around before the 2008 happened, that are unfortunately now re-emerging, offering cheap four day viewing trips. They would fly you out, put you up in a hotel, assign a person to you as your ‘guide’ who basically met you for breakfast and never left you alone until late evening. You would be driven round new developments and shown show houses, sold the dream and on the final day asked which property you would like to buy. They were very successful. The fact that you could have bought the same property cheaper from another source or that there were hundreds of re-sales that would offer you a better match to your requirements for less was irrelevant to these companies. Once you moved into your new home you were often offered a job as one of their ‘guides’. It was a lucrative business and resulted in some bad press for the Spanish property market. So we saw a need for property finding rather than property selling. A service that works for the buyer, not the seller. 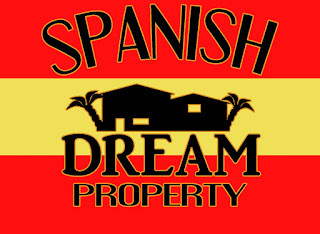 The idea of Spanish Dream Property was beginning to form.